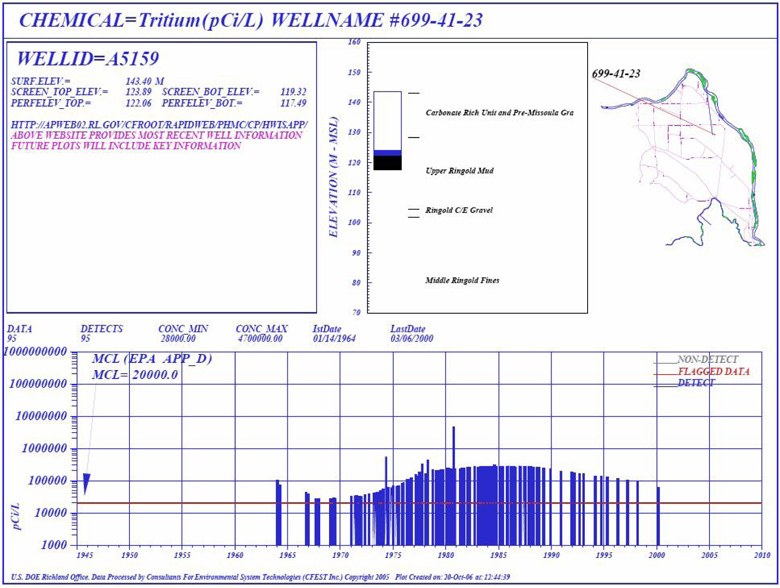 Ground Water Quality- EDA Dynamic Chemical Data Summary for the selected area and chemicals provides instant understanding of available data, number of detects; number of monitoring wells, and sampling duration. Internet based sorting provides easy means for data users, stake holders, contractors, and site managers rearrange summary tables by any given table header. the sites need significant data processing. understanding of data observed at each well. 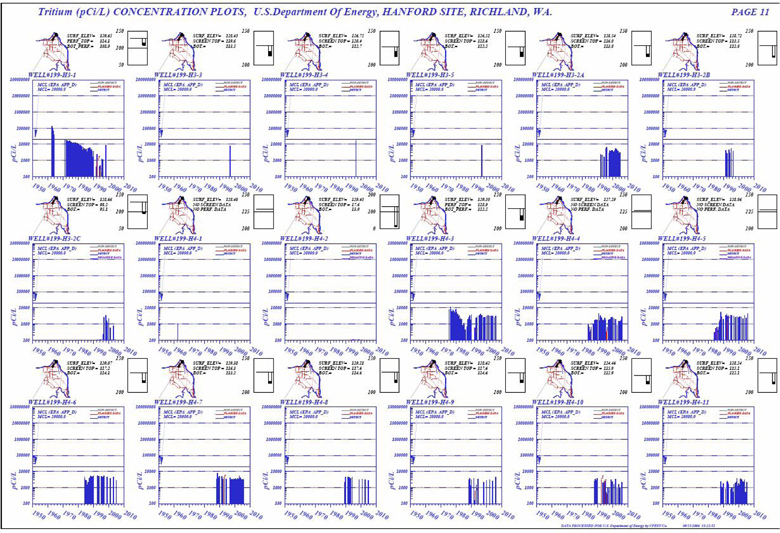 Each well plot of a chemical is for specific well data review. A quick review of a chemical data observed in all wells is also needed to understand its data status and temporal trends for the whole site. 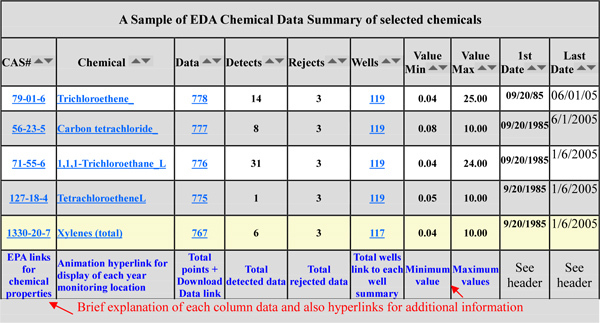 EDA provides multi-well plots for each chemical. 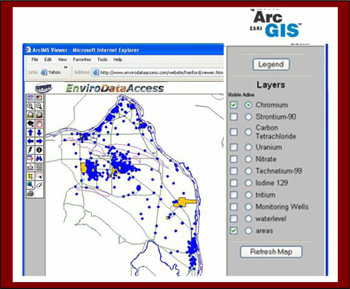 EDA technologies are interfaced with two lead technologies – ESRI ArcIMS and AutoDesk MapGuide. Monitoring stations associated with the environmental and also with the groundwater projects generally add up to thousands of wells. 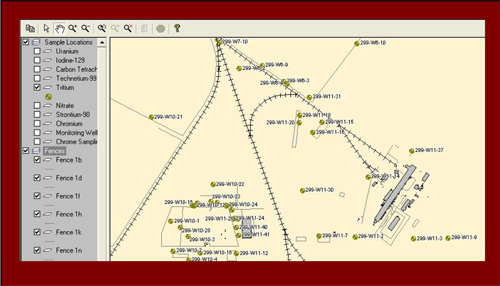 EDA provides easy options to select wells by project specific “areas of interest”.